Sampoorna Yoga’s Teacher Training Courses are registered with Yoga Alliance USA & Yoga Alliance Professional UK. During the yoga teacher training, workshop, course, drop-in class, yoga retreat, or any similar yoga related event, as the case may be, that I choose to participate in (hereinafter referred to as the “Event”), held by Sampoorna Yoga Shala Private Ltd. (hereinafter referred to as “Sampoorna Yoga”), I voluntarily and willingly choose to participate in the classes offered by Sampoorna Yoga, including but not limited to Meditation, Pranayama, Asana, Chanting, Philosophy, Hands on adjustment, any other yoga related class, exercise or event (including social or spiritual events), and any other related yoga activity offered by Sampoorna Yoga (all such classes are hereto referred to as “Yoga Classes”). I recognise that the Event and the Yoga Classes in which I will be participating may require physical and mental exertion. I further understand and acknowledge that despite the great amount of care that Sampoorna Yoga and its staff is taking, the Event and the Yoga Classes may expose me to many inherent risks, including accidents, injury, illness, and so forth. I assume all risk of injuries associated with my participation in the Event and the Yoga Classes, including but not limited to injuries, strains, contact with other participants, the effects of the weather, including high heat and/or humidity, contact with nature/animals, local food, and all other such risks being known and appreciated by me. I understand that it is my full responsibility to consult a physician/doctor prior to and regarding my participation in the Event and the Yoga Classes, and I understand Sampoorna has no medical obligation/responsibilityupon its students, and there is no medical staff in the premises of the school. Any hospital, clinic or local doctor I may need to attend to are not related to Sampoona, and therefore Sampoorna is not responsible for any medical approach received privately outside of the premises of the school. I represent and warrant that I am physically fit and I have no medical condition, which would prevent my full participation in the Event and Yoga Classes I have applied to join.In case of having a previous injury, I am totally responsible for the outcome of my participation in the Event and/or Yoga Classes, and I don’t expectSampoorna, or any of its teachers to provide me any consultation, treatment or recommendation for my physical condition, at any given time of the Event/Yoga Classes. I understand that in the event of any injury, in need to consult a doctor, or in need of hospitalization, I shall be responsible for my own treatment and for any fees or amounts related to such consultation or hospitalization.I also understand that Sampoorna can facilitate the contact with external medical resources, but it is not Sampoorna’s responsibility to acquire/arrange these services for me. Ialso acknowledge that Sampoorna’s teaching staff are highly qualified in their area but they cannot provide any diagnosis and/or treatment. If I am pregnant, I understand that I participate fully at my own risk and that of my unborn child/children. Also, if I have any injury or problem whatsoever (including but not limited to injuries, heart problems, back or neck problems, asthma, epilepsy, ulcer, hernia, high blood pressure, and so forth), I understand that I may be not fit to participate in certain Yoga Classes, in which case I will inform Sampoorna Yo­ga immediately of such condition, and Sampoorna Yoga shall have the full authority to prohibit me from participating in such Yoga Classes, if need be. 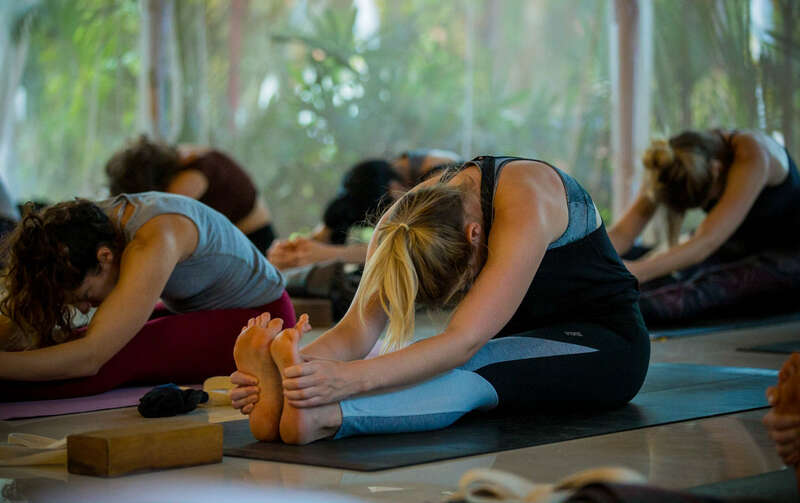 In any case, whether I have disclosed or have not disclosed such injury or problem, I understand that if despite my injury or problem I still decide to participate in the Yoga Classes, I would be participating fully at my own risk. I understand that from time to time during Yoga Classes, the instructor may physically adjust students’ form and posture, and I hereby accept receiving such adjustments. If I do not want such physical adjustments for any reason whatsoever, notably because of an injury, or any other personal reason, I will so inform the instructor at each class I attend. I also acknowledge that if I do wish to receive such adjustments, it is my responsibility to inform the instructor when an adjustment has gone as far as I desire at that time. I hereby take full and sole responsibility from any liability of loss or damage to personal property associated with the Event, the Yoga Classes or any other events held by Sampoorna Yoga. I understand and agree that the deposit amount paid to Sampoorna Yoga for securing my place in the Event is non refundable, non cancellable, and non transferable to another person, but such amount may only be transferred and used as credit in a future event held by Sampoorna Yoga, provided that Sampoorna Yoga is informed of such wish to transfer the deposit amount within six weeks prior to the Event start day. 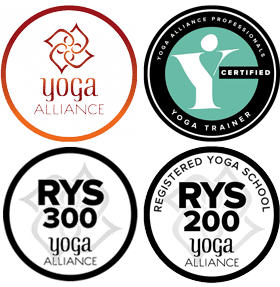 As a student of your training course, I give consent to my contact details (name, email and phone number) being passed onto your partners like Yoga Alliance Professional, so they can contact me directly and invite me to register as a Trainee and Teacher. And I understand that I have the option of opting out of this registration process. I acknowledge that Sampoorna Yoga may take photographs or/and videos of the Event that may include me, and I hereby represent that I have no objection of Sampoorna Yoga taking such photographs or/and videos. I authorize Sampoorna Yoga, its assignees and transferees to copyright, use and publish the same in print and/or electronically. I agree that Sampoorna Yoga may use such photographs and/or videos of me with or without my name and for any lawful purpose, including for example such purposes as publicity, illustration, advertising, and Web content.I also understand, I can take my own pictures and videos, to post on my personal Social Media, but only and only if all my classmates and teachersagree and feel comfortable with me posting these pics on public posts on my wall. During the course, if I bring my kid(s) whether minor or major is solely my responsibility and not the responsibility of Sampoorna Yoga or its staff. I also understand that if I have requested a babysitter, Sampoorna staff will try to help me in arranging a babysitter. However with or without a babysitter it will still be my responsibility for my child /children. If I have paid the full course fee, I can request a refund (minus the 400 Euros deposit + transcation charges) three months in advance of the course start date. After this time refunds and cancellations are not possible. After having read this waiver and knowing these facts, and in consideration of my participation in the Event, I agree, for myself and anyone entitled to act on my behalf, to HOLD HARMLESS, WAIVE, RELEASE, AND CONVENANT NOT TO SUE Sampoorna Yoga, its trainers, its officers, agents, employees, organizers, representatives, and successors from any responsibility, liabilities, demands, actions, or claims of any nature whatsoever arising out of or related to any loss, damage, or injury, including death, that may be sustained by me, or to any property belonging to me, while participating in the Event and in Sampoorna Yoga’s activities, or while in, on or upon the premises where the activity is being conducted. By submitting my application I indicate that I have read, understood and accepted this Waiver of Liability and its content. I am aware that this is a waiver and a release of liability and I voluntarily agree to its terms.